The Annual Reliability Survey of Consumer Reports for the year 2017 is out and as with every year, we get a list of winners and losers. 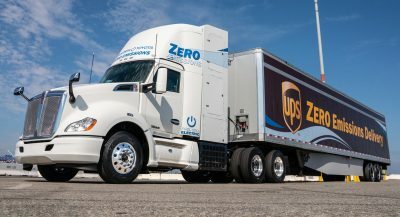 For 2017, the reliability survey was based on data provided by about 400,000 CR subscribers who own 640,000 vehicles, with the results showing that all-new or updated with new technologies models being more prone to failures over older models. 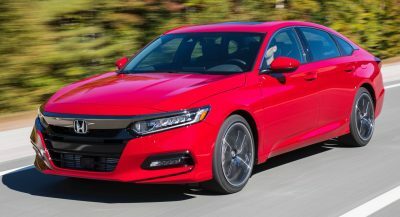 The study focused on 17 areas, ranging from small nuisances, like poor trim quality, to bigger problems such as out-of-warranty powertrain repairs. Each type of problem is ranked by severity to create CR’s predicted reliability score for each model. 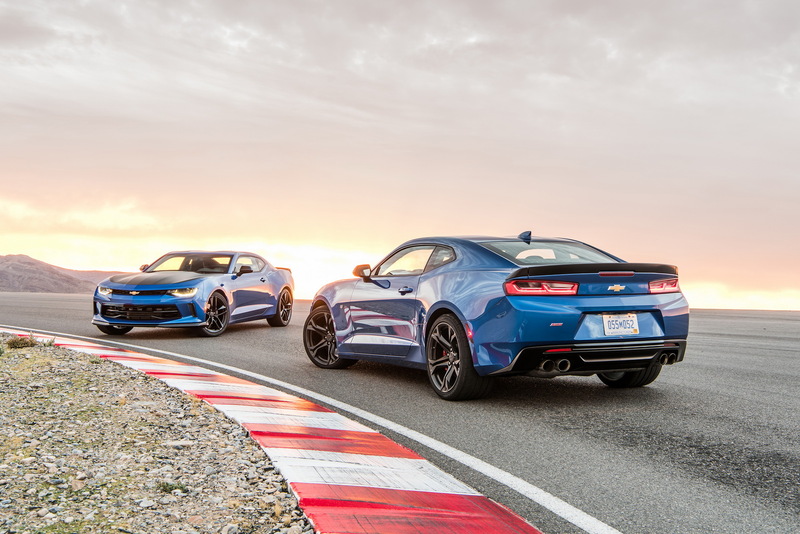 Owners of the latest Camaro have reported minor issues with the transmission and problems with the in-car electronics and drive system. 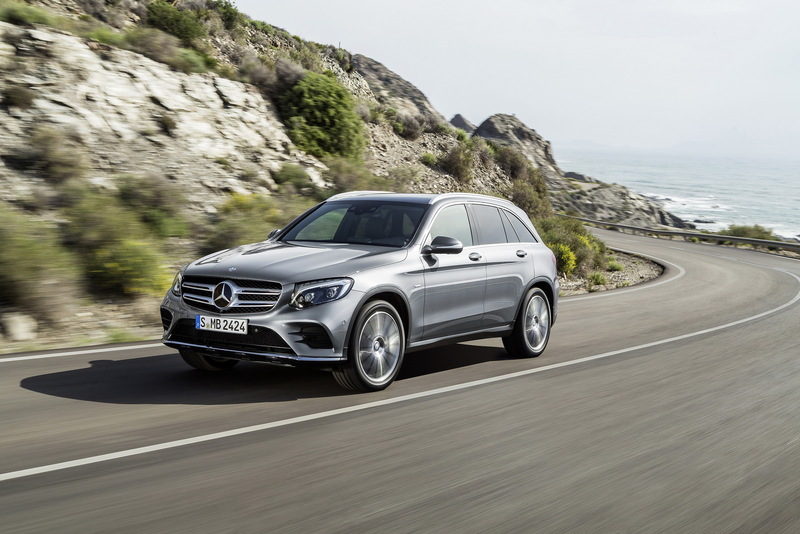 The German compact luxury SUV’s owners complained about issues with the brakes, steering and suspension as well as the power equipment. 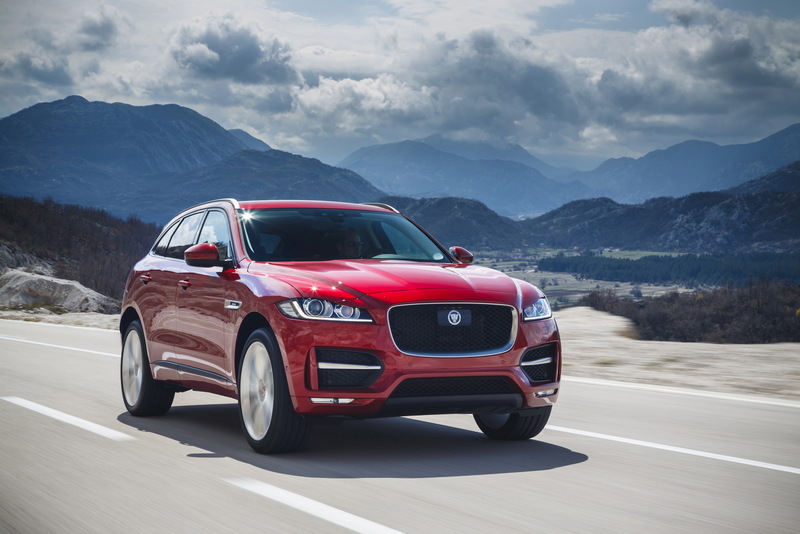 The first Jaguar SUV might drive like a champion but that didn’t stop owners from pointing out issues with the drivetrain, the on-board electronics -including the infotainment system-, as well as a leaking differential on some cars. 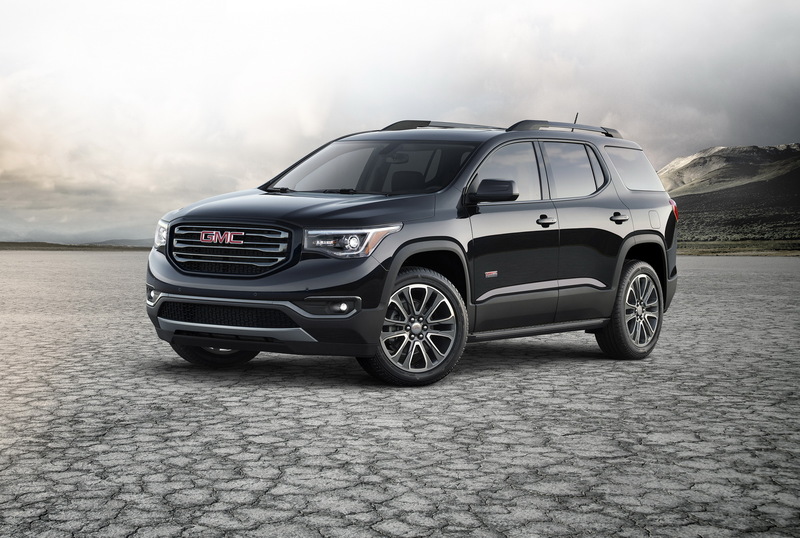 GMC’s latest three-row SUV scored seventh from the bottom due to buggy in-car electronics, with the screen going blank and the rear entertainment system not always working. 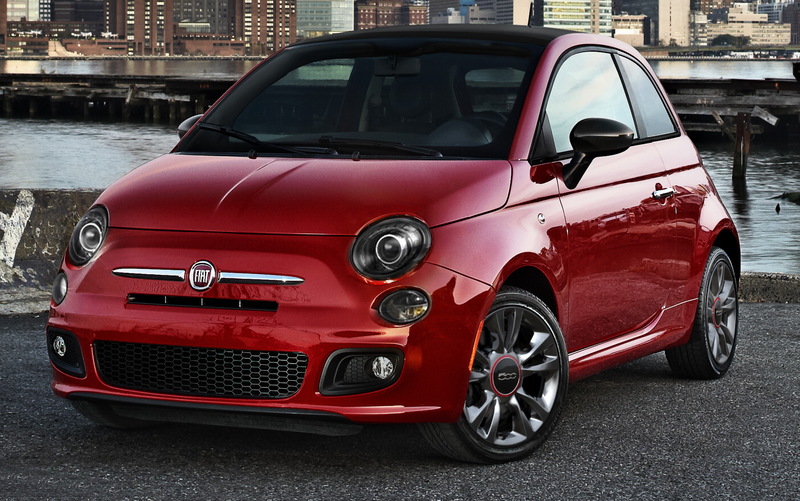 Despite its many years on the market, the small Fiat suffers from issues with its brakes, power equipment and in-car electronics according to CR’s survey. 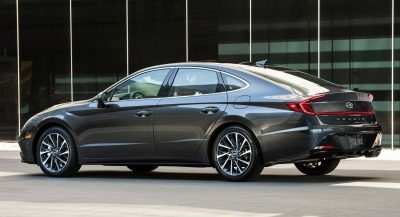 Ford’s compact model has managed to improve its position in this year’s survey but still owners reported poor reliability and a jerky, rough-shifting transmission among other. 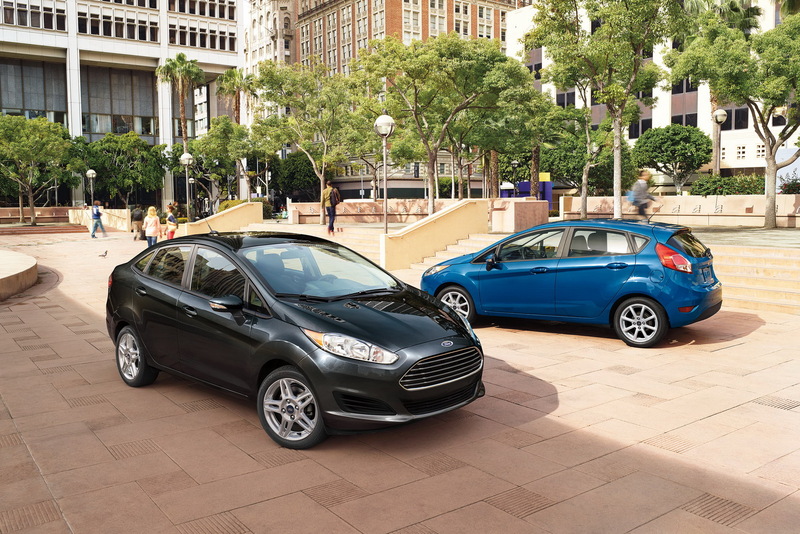 The small Ford still finds its place among the least reliable cars due to problems with the climate control that can stop working unexpectedly and the dual-clutch transmission demanding early clutch replacements and in some cases even a full rebuild. The Swedish premium SUV’s main problem is to be found in its complicated infotainment system that also controls the climate system. Owners reported slow load times and constant reboots which in some cases turned the screen blank and blocked access to everything, including climate control. Once again, the big Caddy gets a top position in CR’s least reliable list due to issues with the infotainment freezing and crashing frequently, the climate control turning on its highest setting without any input from the driver but the major problems are to be found in the powertrain, with irregular idling, rough shifts and even complete failures. Despite its cutting-edge features, the all-electric SUV plagued its owners with issues on the simple things like opening and closing the Falcon doors due to sensors failing frequently and poor fit and finish with loose exterior moldings and body misalignment also common. Yeah, and this is why I can’t take these Consumer Reports “surveys” seriously. 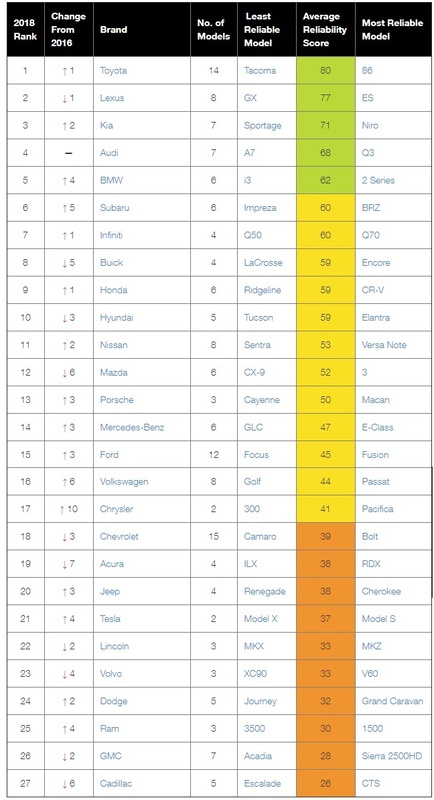 lol……..in the US, they rated BMW as one of the more reliable companies. In the UK, it’s rated as one of the least reliable companies. in the UK and US… most BMWs sold are not sold with the same engines. You can look at two M5 if you want, one US spec, the other EU. But in the UK most of them are Diesel, in the US, petrol. They can also come from diferent factories. Climates, Petrol, oils, frequency of maintenance… are factors to inclued also. It makes no sense for a diesel engined 5 Series to be rated at the bottom of the list, while a petrol engined 5 Series is rated at the top. If anything, diesel BMW’s are actually rated really good, even in the UK. To me, the heart of the problem is the survey itself, and the methods used to come up with their results. Exactly. Just today, I was at a B&N and right on the magazine rack were a CR from October praising the GLC and this new CR for Nov bashing it. I did a double take just to make sure I wasn’t confused. Looks like it’s CR that is confused. SEEMS LIKE ELECTRONICS ARE A COMMON THREAD. Volvo will probably updates its still very new software soon. Many vehicles now use infotainment systems to control many things including climate controls and driving settings. It’s not just the software. You shouldn’t be required to use a touchscreen for basic HVAC functions. And now they’ve committed to the same setup for all their new models. 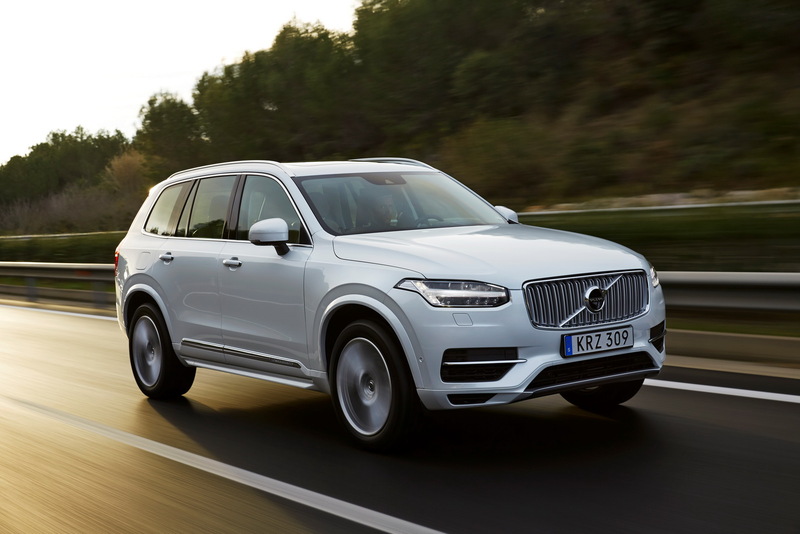 Watch for other Volvos to join the XC90 in the bottom 10 next year. While I agree that buttons are easier, the system was updated a long time ago to reduce lag. Had mine for almost two years and have zero complaints about it now. Well, we can’t go back to wooden wagons anyway. Not unless Trump gets his way. Theres some sort of unspoken race to offer the latest and greatest gadgets for entertainment, safety, and emissions. Starting to seem its all being slapped on new cars as soon as possible before much of the tech is even properly vetted. 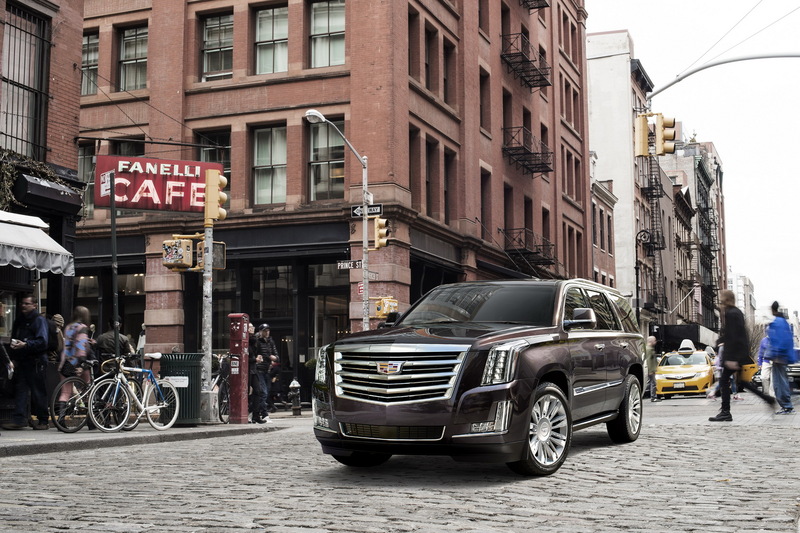 Escalade seems like the biggest dud here. We expect the usual electronics bugs, but serious power train issues too? That big 6L V8. I would rather have the Lincoln Navigator with its 3.5L twin turbo V6. Pathetic part is that engine is in the other GMC-Chevy’s with no issues. Also, GM has been making the small block for how long? By now it should be damn near bulletproof on all models. It may not be proper, but as a person who’s working with different cars ( fleets, car sharing, etc.) GLC is one damn good realiable car, here in Europe. Accoring to my own data, It’s one of the best models in terms or reliability. 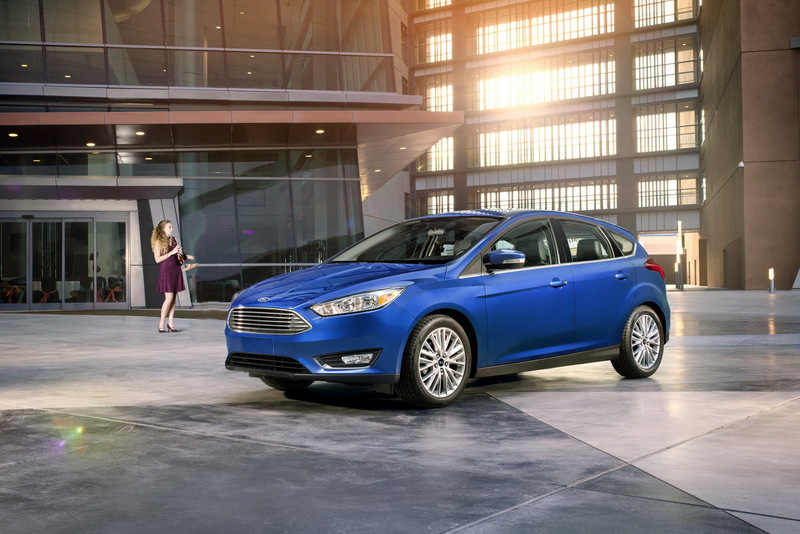 Also Ford Focus is really good car. What do you find are the least reliable cars? From newer cars i can say there are more problems with kia ceed, and small volkswagens with smallest engines( probably because they are really common) but to be honest, it really depends. If you choose car with lots of gadgets and small engine with lots of power it is almost impossible to not to get a a problem with them. The best way is to choose proper engine if you want to drive normally, and pick electronics which you do really need. One Bmw 5 with 2.0d and lots of gadgets went to service over 6 times during 18 months. Same car but 3.0d less electronics so ,, less luxurious” was one of the best cars my clients. I agree on the Focus. In Europe they are very reliable. In our company the Focus fleet cars are pretty much bullet proof. The hybrid Auris’s are terrible. 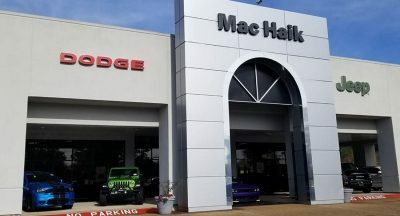 They spend more time at the dealer than everything else combined. 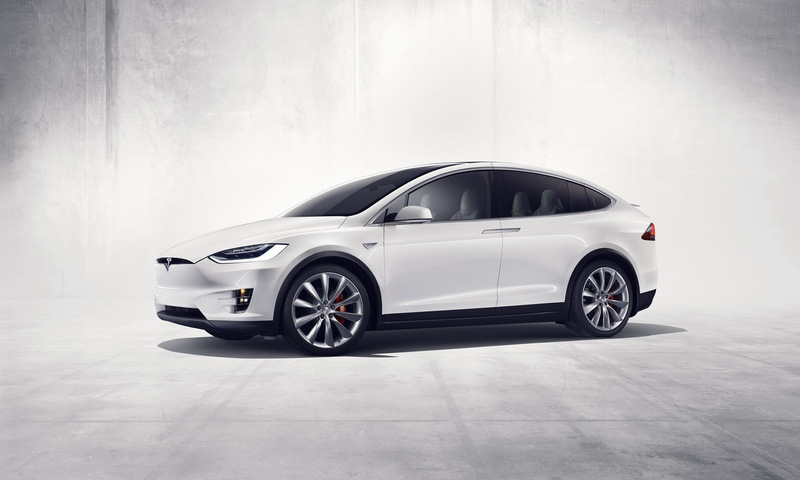 I reckon a facelift Model X will ditch the falcon doors. That would require a completely re-designed bodyshell. Quite a significant investment for a facelift. An no real Chrysler out there – I mean Chrysler+Dodge/Ram+Jeep – what haters have to say now? Most of these are just electrical problems with infotainment systems….I was thinking “least reliable” meant “may fall apart when driving” or something. I bet that’s what most people think. I know I do. Well, if the doors or defrosting system aren’t working, does it really matter if it’s a mechanical or software problem? It’s unreliable basic functions. This highlights one of the problems with our desire to have the very latest technological ‘conveniences’. They’re not going through a long enough testing phase so we end up playing the guinea pig. Just wait till all the high tech crap on our new cars starts malfunctioning and we have to decide whether to pay tons of money to fix it or get rid of it. I have a 20 year old Suzuki Sidekick with 240k miles. Other than an automatic transmission it has no options. I have never had any issues with this car other than routine maintenance. I paid $12k for this new. Reading about all these issues in new cars with tons of options and updates it makes me never want to get rid of my little ’98 Suzuki. Mostly SUVs. Not a single wagon. Hmm. Are you talking about the report or general sales? The statement would apply to both. 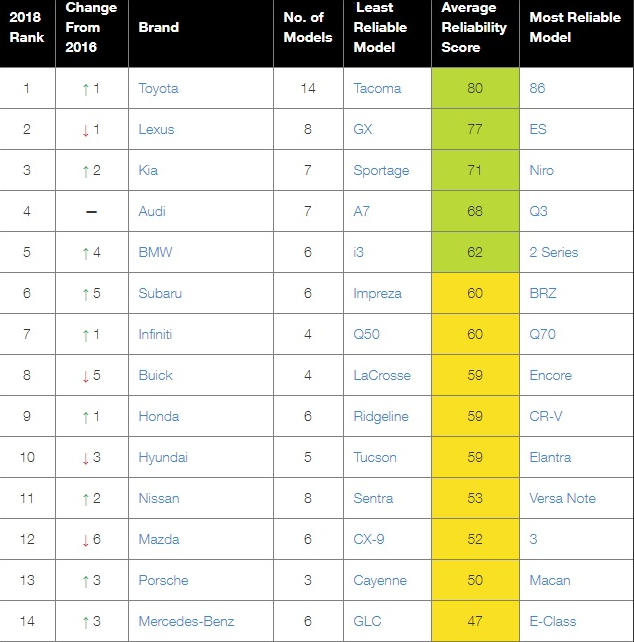 Just to illustrate the sheer nonsense that is CR’s ratings, they list the Chevy Bolt as Chevy’s most reliable vehicle. I understand this looks at a small amount of data, but thats the problem! It is so misleading to steer people toward a brand new vehicle with barely any years behind it as “the most reliable” when those who buy it may later learn that in just year 2 or 3, the whole thing goes up in flames or the electronics take a crap. How can you confidently state a car that has barely been for sale for any significant amount of time is a brand’s most reliable model? A little agenda pushing by CR, as well, that’s part of it. It’s very noticeable CR has a particular view…I notice it every month as a subscriber. If I wanted to trust Consumer Reports, this report is confusing. I’d have a very difficult time using it to select a reliable vehicle. All this technology crap is ruining cars. Like Volvo for example is known for very reliable cars….not they are going and messing that up with that dumb screen which was a deal breaker for me since I knew the day I saw it that they would have reliability issues! So Volvo’s only problem is the OS? Seems like an easy fix. Based on the CR list of the “most reliable,” they clearly want everyone to drive mind-numbing generic appliances. 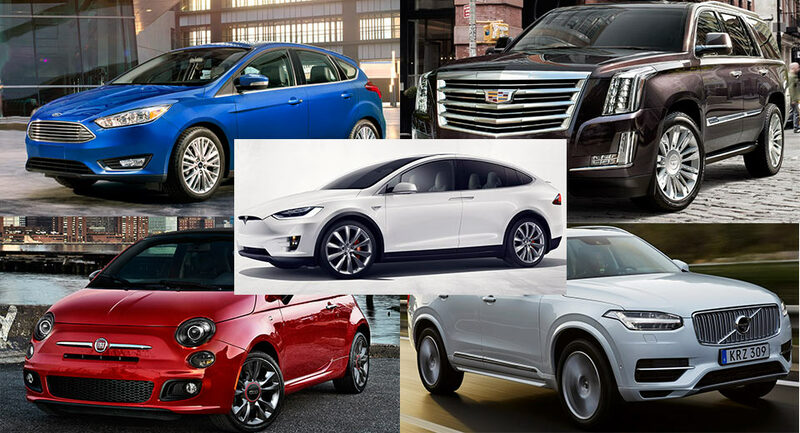 There isn’t a car on this list that I wouldn’t love owning, while the “most reliable” CR list is nothing but a top-ten tally of the $h!ttiest cars on the market. Camry? Best car ever? Are you high? That thing is dull as dishwater. You’re right! I was talking like CR does. Everyone knows a Camry is boring, except for them. A few months ago I witnesses in ONE WEEK, THREE newest model GM full size SUVs (Escalade, Suburban, Tahoe) being towed. No exaggeration!!! Not a good sign.